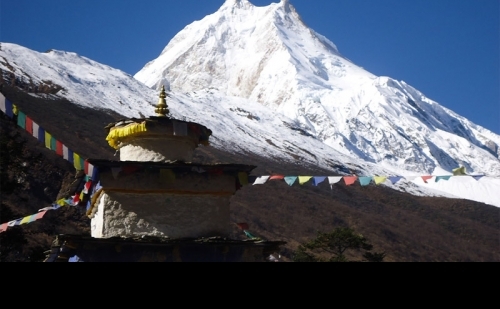 Tsum Valley Trekking is newly open popular trekking in Nepal. Besides the Ganesh Himal towering above the valley, other snow mountains stand close by. The valley is a pilgrimage site for Tibetan Buddhists where locals speak their own dialect. Viewpoints and passes along the trail offer amazing views of the mountains above and the valleys below. 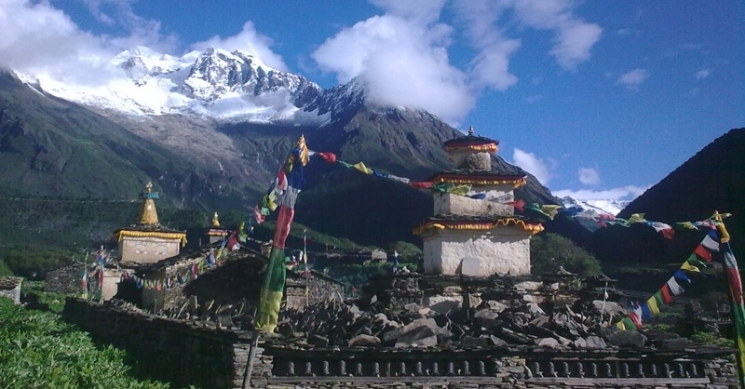 Tsum Valley Trekking is a sacred trek to the pilgrimage valley of Tsum with Ganesh, Sringi and Boudha ranges as its backdrop. Rich in its traditional art, culture and religion, the valley dwellers are mostly from Tibetan origin. Trails pass through monasteries, artistic chortens, mani walls and other embellishments to this remote hidden paradise which also recounts tales of the yeti. After preparing the permit for restricted area in Tsum Valley, we drive to Sot Khola the next day where our trek begins. Up the stream, we walk to Machha Khola, then through some steep climbs and descents, we reach Doban. A rocky trail continues on till Philim, with Sringi Himal as the backdrop. 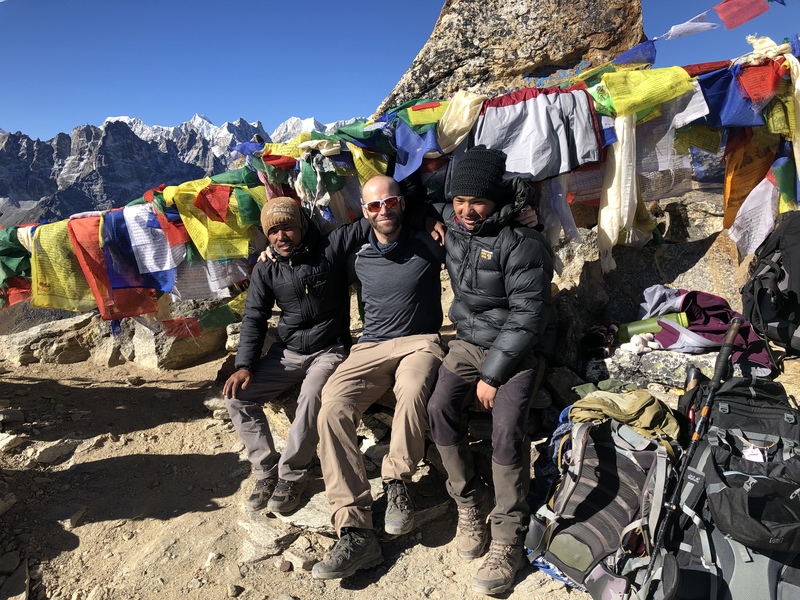 We subsequently pass Chumling and reach Chhokangparo in the Upper Tsum Valley where towering views of Ganesh Himal, Boudha Himal and Himal Chuli can be seen. En route to Nile/Chhule, we pass through Piren Phu(pigeon cave), a sacred location which preserved Buddhist murals, scripts and carved stones where we stop for exploration. Our next stop is the Mu Gompa at 3700m from where we move to Rachen Gompa, a nunnery, and further on to Dumje. From Dumje to Philim, we pass Samba Tingding Chhupyang, a spectacular waterfall. Philim to Tatopani is a six hours walk where you can relax in the hot spring. We return back the next day to Soti Khola and Drive to Kathmandu. Personal nature expenses such as all kinds of drinks, beverages, donation, shoping, hot shower, Tips etc. Day 1 :Arrive Kathmandu Our Airport Representative will meet you at the Tribhuwan International Airport. A drop to the Hotel by private tourist vehicle is arranged. You can either take a rest or meet us at our office and know the detail arrangement of the Trek. B&B at the hotel. Day 2 :Tsum Valley Restricted area trekking permit preparation and briefing of TrekAfter breakfast, you will be introduced with the trek leader/guide at the hotel. This pre-trip meeting is for briefings on the trek and other necessary details. Please bring along your passport and three passport sized photos and a copy of your travel insurance policy. You can use your free time to rest or explore around for some last minute shopping. A visit to the world heritage sites in Kathmandu including Swayambhu, Boudha, Pashupatinath, Kathmandu Durbar Square et cetera is also arranged as per request. Day 3 :Drive to Soti Khola (800m) 4×4 Jeep Early morning drive to Dhading Bensi, the district headquarter of Dhading and then to Aarughat along rough tracks. At Aarughat we take a jeep and drive to Soti Khola which is an ideal for fresh water bath. Overnight stay at Soti Khola in a small village beside the river. Day 5 :Machha Khola to Jagat (1340m )5 to 6 Hours The trail that passes through small settlements along Khorlabeshi and all the way to Tatopani. Large Gurung settlements are found higher along the trail and we come across herders moving up and down the hills. Passing through Tatopani, we climb a ridge, cross the Budhi Gandaki and further trekking Passing through to Yaruphant and across the Yaru River, the trail eases to Jagat overnight gust house . Day 6 :Jagat to Lokpa (2390m) 6 hours Jagat, another big Gurung village in a flat area. As we pass this agrarian village, we climb a rocky ridge and reach Salleri which rewards with views of Mount Sringi. Descending to Sirdibas, a traditional Buddhist village, we move further to cross the longest suspension bridge in Nepal and climb up to Lokpa North of Philim, we climb along forest areas for about an hour and reach Ekle Bhatti. Moving higher along pine forests, we reach a scenic gorge and drop to a junction. We take the right trail that leads to Tsum Valley our stay for the night on Lokpa..
Day 7 :Lokpa to Chumling (called Lower tsum) (2390m) 5 hoursNow we start trekking of Tsum Valley. The first glimpses of Tsum along with mountain view make for a pleasurable retreat.. Views of the hidden valley start appearing as we descend further to Ghumlong and climb again to Ripchet. A short walk from here takes us to Chumling, a traditional Buddhist village set beautifully with an old monastery, traditional houses, prayer flags, stone paved streets, mani walls and the like. Overnight stay in a lodge. Day 8 :Chumling to Chhokangparo (Upper Tsum valley) (3031m) 5 Hours After crossing the suspension bridge, the trail passes through maize and potato fields. Crossing the valley across a scenic ridge, we climb for more than two hours to reach a small settlement under the cliffs, Chhokang Paro. Day 10 :Nile to rachen Gompa 3240m (4 hours walk) The short walk today first takes a downhill to Chhule and further to Phurbe, where Sherpa home stays are available. Walking along the banks of Siyar River, the trail further crosses flat plains along power lines to Rachen Gompa (3240m), a nunnery. Over night stay at Rachen Gompa. Day 11 :Rachen Gompa to Chumling(2386m) 6 hours After crossing the river to pass through Chhokang Paro, we drop towards Chumling. Walking for about two hours, we come across a white monastery and drop to Siyar Khola. The abundance in water here makes it suitable to wash clothes. We stop at chumling for the night. Day 12 :Chumling to Jagat (1340m) 7 to 8 hours It’s a big descending walk from chumling to jagat as we slowly descend along day trekking at Overnight stay jagat in a lodge. Day 13 :Jagat to lapubessi 884m (6 to 7 hours ) Another big day again descending down we cross again CANTILEVER bridge after earthquake built with Swiss Technology 2016. We cross hot springs at Tatopani is believed to cure diseases and relieve the body of any ailments. But we continues our trek Lapubessi. Overnight stay in a lodge. Day 14 :Lapubessi to sotikhola then drive back to Kathmandu Today we have small treks and drive back to Kathmandu it takes 2 and half hour treks via jeep drive 7 hours arrive From Soti Khola where we take a drive back to Kathmandu. Day 15 :Final Departure or onward for next destination Departure from Kathmandu. A drop from the hotel to the airport 3 hours before the scheduled time of flight is arranged in a private tourist vehicle. 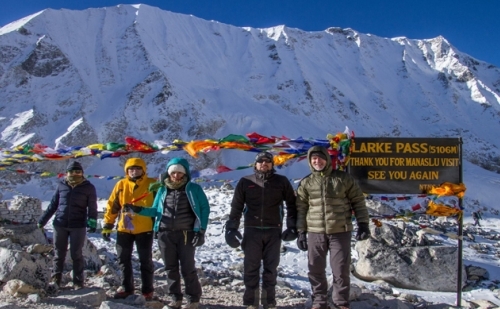 You can also opt for another package with Green Valley Nepal Treks and extend your stay.